Islamabad: Supreme Court of Pakistan on Thursday summoned chairman of National Accountability Bureau (NAB) and Federal Board of Revenue (FBR) to appear before the court in personal capacity along with relevant record on Tuesday. 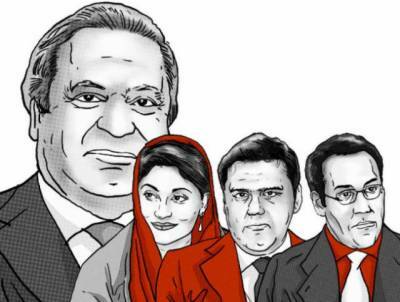 As the Panamagate case hearing resumed on Thursday in the apex court, the counsel for the Sharif family admitted before the court that Maryam Nawaz, daughter of Prime Minister Nawaz Sharif, owned four flats in Mayfair, London from February to July 2006 as she possessed bearer shares regarding ownership. He claimed, however, that in July, the shares were registered in the name of Minerva Services Limited, a company which the premier’s family previously identified as a “service provider” to Nielsen and Nescoll – offshore companies owned by the PM’s son Hussain Nawaz. Upon this, Justice Azmat Saeed called for documentary evidence which could show the authorised representatives of Minerva Services. In his response, the Sharifs’ counsel said Minerva was authorised by a trustee service company which is now owned by the PM’s son. The court expressed his surprise that the Sharif family seem to have acquired expensive apartments in London without any documentary evidence to establish ownership or a money trail for the purchases. Counsel for the premier’s children, Salman Akram Raja concluded his arguments regarding the ownership of London flats and offshore firms.